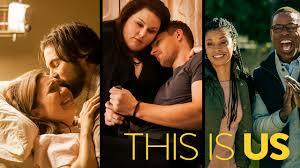 Fall television is just getting started, so some of my usuals aren't back yet - Grey's, Scandal, etc. Never you fear, I have tv to watch. Westworld was Phillip's choice. We're always on the lookout for a good show on Sunday night. Some Sundays that happens to be football #we'resportspeople now that Downton Abbey is over and Game of Thrones is about a year away, we hadn't found a show. Until now. I was a bit leery of it, but they hooked me right in the first episode. 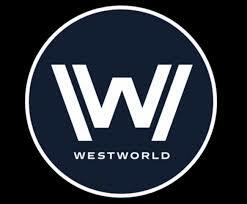 The cast is amazing: Evan Rachel Wood, Anthony Hopkins, James Marsden, Thandie Newton, and Jeffrey Wright. It's helmed by Jonathan Nolan (brother of Christopher) and the premise is definitely in the sci-fi realm. I don't want to give too much of the plot away, but it's about a futuristic theme park populated by artificial beings and people pay to participate in the stories playing out. I don't know that I'd call this show a guilty pleasure, but it does make me feel good about my own kitchen skills. The current season is a celebrity season where the celebrities compete for charity. And one of them is Mindy Cohn! Natalie from The Facts of Life! Rachel Ray and Anne Burrell serve as coaches and try to teach them how to cook. We've watched several seasons and it's always fun to watch how they progress from being truly awful to pretty accomplished. Oh this show. Every week there's a new revelation that leaves me wanting to come back the next week. The casting is excellent. I want to be Mandy Moore's friend and the actress who plays Kate is so good. Like Westworld, I don't want to say too much because I don't want to give away the plot or any of the twists, but this is definitely a relationship driven story and I highly recommend it. I love this show. I can't believe we're up to Season 14. I tuned out for a bit after Ziva left because I was heartbroken, but I'm binge watching Seasons 12 & 13 to catch up because I do love this show. I have pretty much since Season 1. 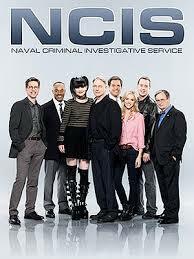 I know once I get into Season 14 I'm going to miss Michael Weatherly's character, but that's the nature of a show. Characters/Actors leave and new ones come in, especially on a show that has run this long. 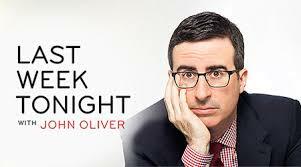 Last Week Tonight With John Oliver is "must see TV" for us. We watch every week. Maybe not on Sunday night, but we DVR and watch Monday evening instead. #wegotobedearly #barreclassstartsat5:15am. It's smart, it's funny, it's well scripted, and John Oliver is spot on. So that's what's on our tv lately. Anything I'm missing? What's your "must watch" show?